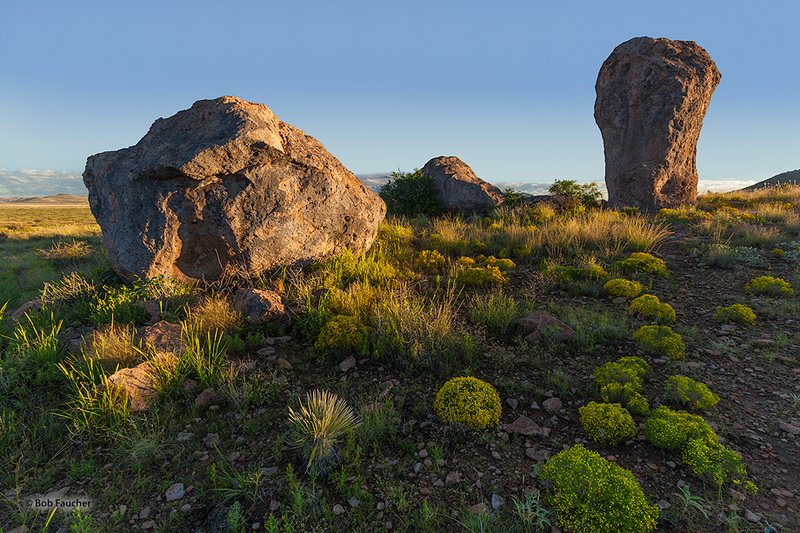 Late afternoon light catches some boulders with its last rays before dropping below the adjacent hills. The "city" is a geologic formation made up of large, sculptured rock columns, or pinnacles, rising as high as 40 feet and separated by paths or lanes resembling city streets. Photo © copyright by Robert Faucher.